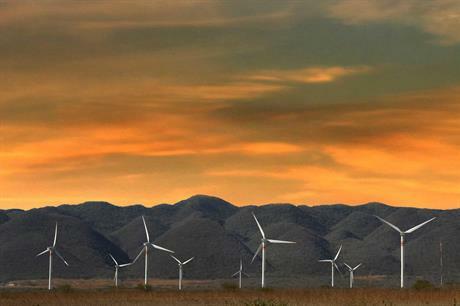 MEXICO: Wind projects took almost 45% of the successful clean energy capacity in Mexico's latest power auction, with solar taking the remaining 55%, as prices fell to an average of $20.57/MWh. The average price was over 38% lower than the $33.47/MWh seen in Mexico's previous power auction in September 2016. Winners behind the projects include Italian developer Enel, French firm Engie, Canadian Solar Energy and a Mitsui-Trina Solar joint venture. Bidders were competing for either a 15-year power purchase agreements (PPAs) from Mexican state-owned utility CFE or clean energy certificates. Solar power projects won 55.35% of the PPAs and 58.31% of the certificates on offer, while wind won 44.65% and 41.69%, respectively, according to the preliminary results. The renewables projects will provide roughly 5.5TWhs. The winning projects must be online between July 2019 and June 2020. Official winning offers will be announced on 22 November.